Refrigerator Bowl Trackcross Series Returns Nov 11! 11/11/18, 12/9/18, 1/6/19, and 2/3/19! 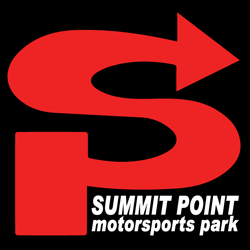 We are proud to announce the return of our popular winter autocross series using various parts of racetrack at Summit Point Motorsports Park. Each date will be two half-day higher speed autocrosses without cones on different courses for two heats each. There are no work assignments (unless you choose that option for a discount) and registration will be limited so everyone gets plenty of runs. The wet skidpad will be open and touring laps during lunch will be available. Best of all, we will have a championship series with winners at the end! Most street or race cars are welcome but must pass a safety tech inspection. Car classing is basic: Street or Competition (based on tires and modifications), FWD or RWD or AWD, under 2.5L NA or over 2.5L/all FI. Or Novice class of course – these events are great for first timers. There is no cheaper or easier way to run for times on a real road course! CLICK HERE for dates, registration, info, videos, and more! « Previous post link Shenandoah Trackcross Series Starts June 10!